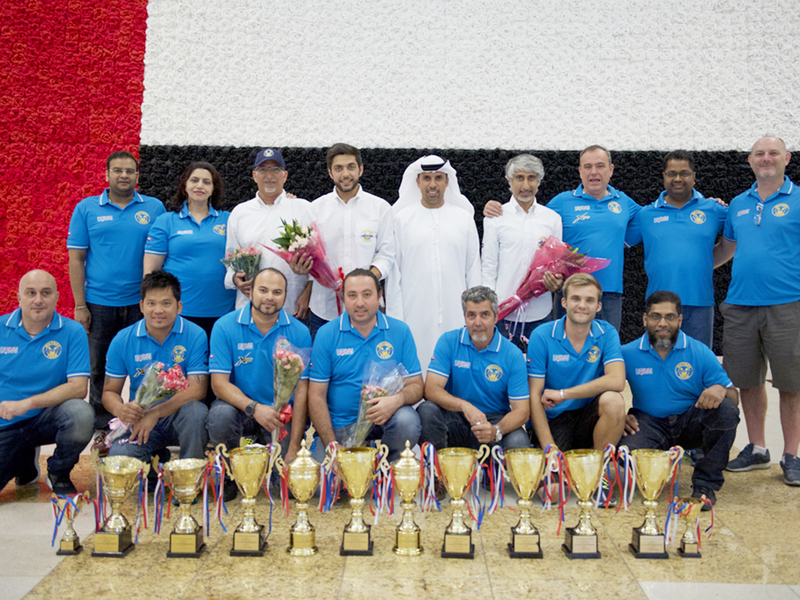 Dubai: The Dubai-based Victory Team will once again be looking at a five-discipline assault during the 2019 watersports season that is scheduled to get under way in Saudi Arabia next weekend. Victory Team have lined up participation in five disciplines starting off with the Class 1 along with the F1, F2 and F4 classes of racing and the Aquabike division. Victory Team’s world champions Salem Al Adidi and Eisa Al Ali will follow up on their transatlantic debut last season at the Super Boat International in Key West, as they head for a full six-race calendar starting with the opening round at Cocoa Beach, Florida from May 17-19. This will be followed by rounds on Lake Ozark (May 30-June 1), Sarasota (July 5-7), St Clair (July 26-28) and Michigan (August 2-4) and the final round from September 27-28 at a venue to be disclosed at a later date. “Last season was an eye-opener for the team on the whole experience of racing in the USA. As a world-class unit, we learnt a lot of lessons and these experiences will come into play as we head to the same venues this season,” Huraiz Bin Huraiz, chairman of the Board of Directors, told Gulf News. Joining the F1 challenge once again will be the duo of Ahmad Al Hameli and four-time world champion Alex Carella from Italy as Victory Team head into their fifth season at the annual UIM F1H2O World Championship held over eight rounds. Carella and Al Hameli will want to put behind a 2018 season that saw Victory end in seventh with 27 points. A year earlier, Victory Team had ended just shy of the podium in fourth place with 58 points, while their best season came in 2016 where the two drivers combined for Victory Team’s first-ever team podium with a third place overall with 86 points. Heading into the F2 season will be Mansour Al Mansouri with the opening round in Kaunas, Lithuania (May 25-26) followed by runs in Locarno, Switzerland (June 15-16), Tonsberg, Norway (August 2-4), Ribadouro, Portugal (September 14-15) and the final round at the brand-new venue of Sasolburg in South Africa (November 30-December 1). Starting with the Grand Prix of Saudi Arabia at the end of March, Victory Team will have the familiar duo of Emirati champion Ahmed Al Fahim and Asian gold medallist Ali Al Lanjawi participate in the F4-S category in a world championship that is held alongside the F1 races. The F1 and F4-S opening round will be in Dammam, Saudi Arabia (March 28-30) followed by stops in Portimao, Portugal (May 17-19), Evian, France (July 5-7), another venue in Europe (September 27-29), Qingdao, China (October 11-13), Amaravati, India (November 15-17), another venue in Asia (December 5-7) and the finale in Sharjah (December 18-21). Victory Team’s Kevin Reiterer, a new signing from last season, will start the defence of his world title in the Ski Division GP1 category at the opener in Portimao, Portugal (May 10-12), followed by stops in Olbia, Italy (June 1-2), China (October 18-20), Amaravati, India (November 12-14) and the season finale in Sharjah (December 17-20). “Once again we are prepared for a challenging and busy season ahead. As ambassadors of Dubai and the UAE, our drivers and riders will be travelling to various parts of the world to represent our nation. We are a professional set-up and each one knows what is expected of him to ensure Victory Team carries forward its success,” Bin Huraiz said.